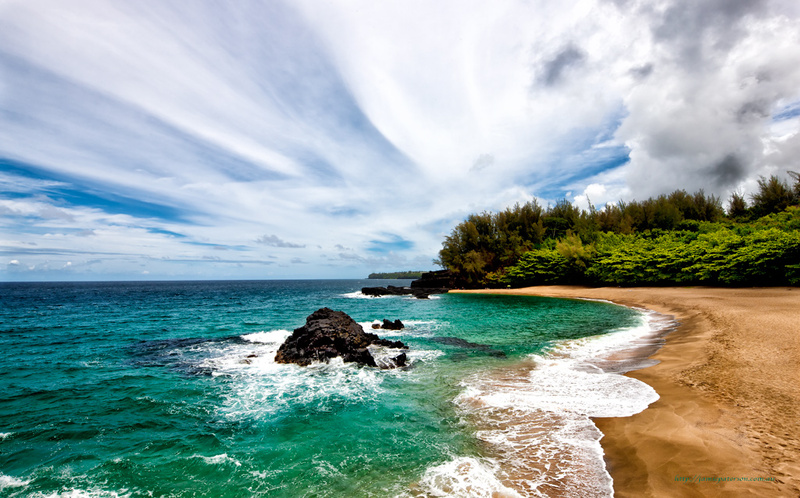 Its no secret that I love Hawaii and travel there often. Its a magical place and if you’re willing to open your eyes and just let yourself go you’ll see so many photographic opportunities each and everyday. I was fortunate enough to have my amazing wife Melissa on this trip with me. We’d just share an amazing moment together off to the left of this photo and had started to head home when we saw this serene and beautiful scene if front of us. 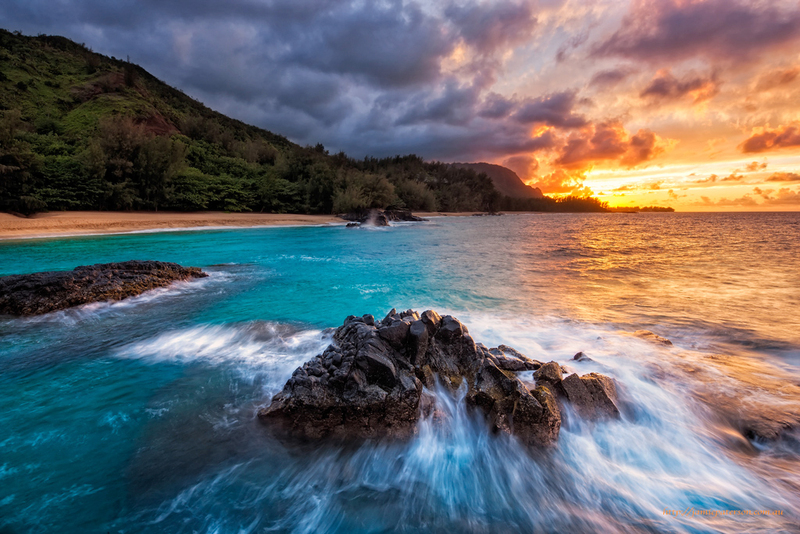 I just love Hawaii, not only is it so picturesque but its also so peaceful and good for the soul. 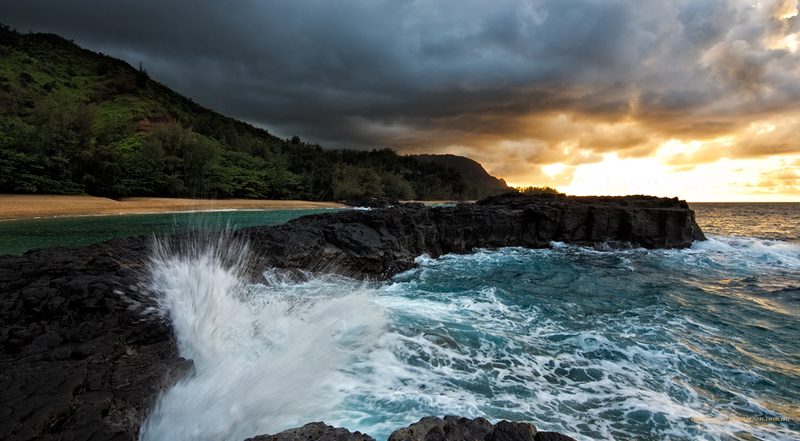 Lumahai Beach is quite simply one of the most stunning beaches in Kauai and it captured my heart and soul on this trip. 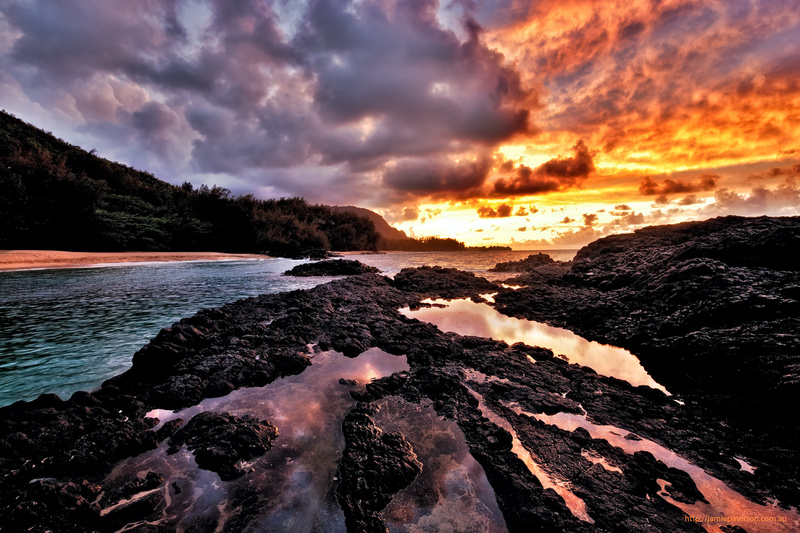 So its no surprise that I chose to capture the sunset from my last night in Kauai at Lumahai Beach. Hawaii sunsets last for ages so I managed to get a number of different angles of this sunset from the beach. Surprisingly, this shot was handheld with high ISO as I was just scouting out my sunset position and had left my tripod on the beach. Needless to say I went home that evening an extremely happy man. Lumahai had played nice once again. 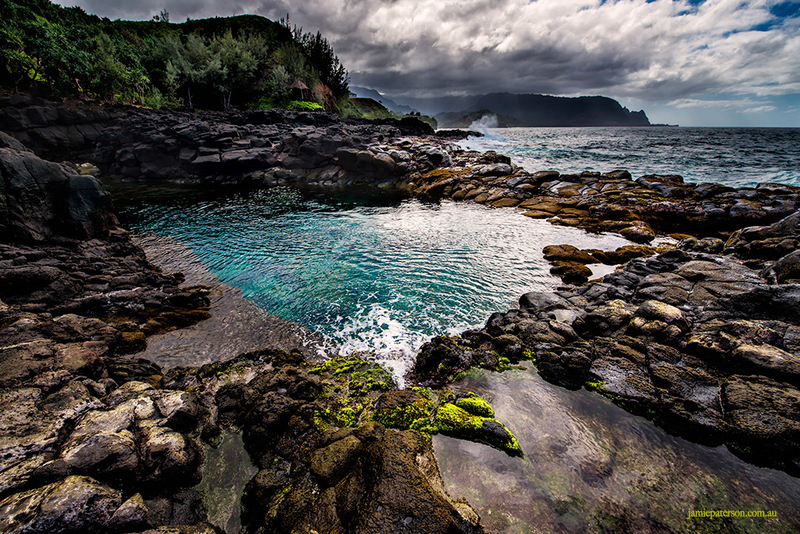 I’ve just returned from a trip to Kauai, its my second trip there and it definitely won’t be my last. In fact I’m back there again in January. 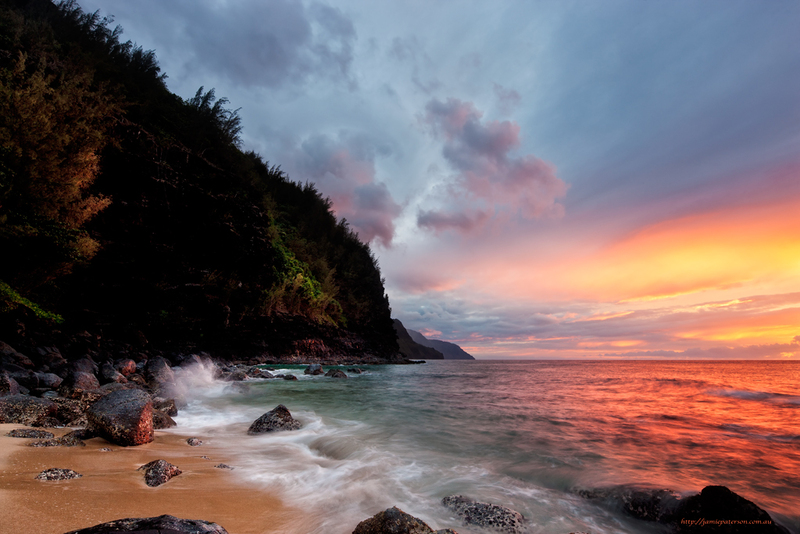 The place is just magic and I feel so at home there, especially living out on the North Shore. Life is simple there. Really simple. 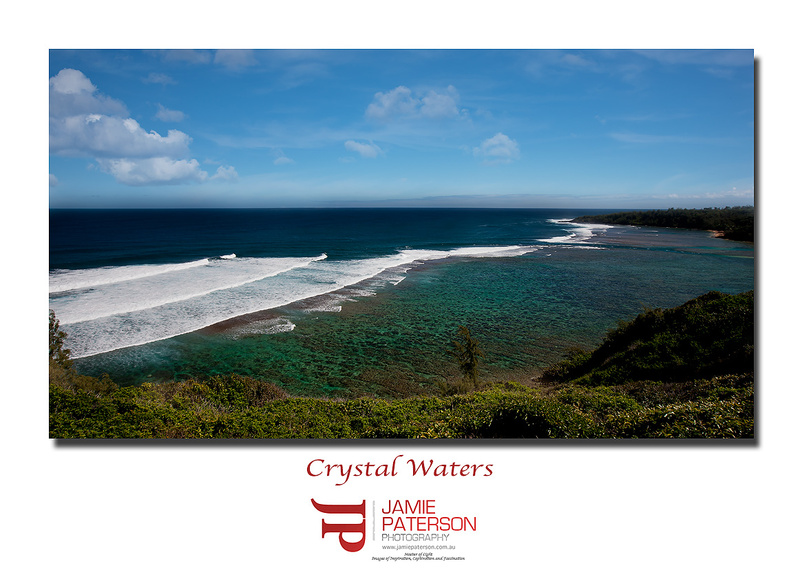 This is Hideaways Beach which is just below the Princeville estates. Its hard to get access to almost impossible in fact. It makes you realise how lucky we are here in Australia that we can get access to almost any beach without any issues at all. 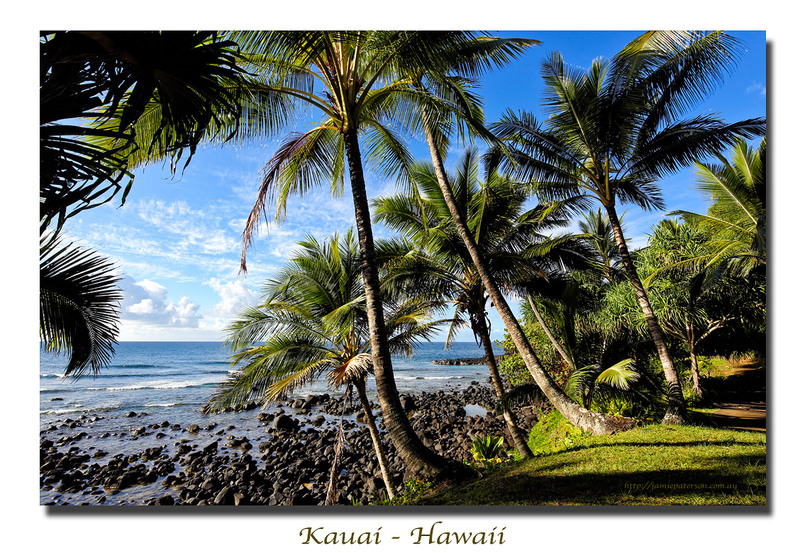 For me this shot typifies Hawaii, coconut trees, blue skies, and lava rocks. When I first saw this bay I fell in love with it straight away. I just couldn’t get enough of that amazing clear water. How beautiful does it look from up on the hill? Unfortunately, on this particular day I was really pressed for time so I didn’t get a chance to dive right in, but if I get the chance to I will next time for sure. This one was of those rare occasions where I actually used a polarizer and looking back on it I’m glad I did. Now…. onto the next image!